I don’t know how he does it? Maybe John Green has a secret line into my heart so he knows exactly when and where to tug? Without giving away huge spoilers, this is essentially a book about growing up, friendship, choices/not-choices. About dealing or not dealing with death. The story starts with Miles Halter choosing to leave high school to attend a boarding school instead. Not having many real friends at his old school, he quickly finds the sort of friends, that honestly, I’ve only read about in books. The book itself doesn’t even cover a whole school year, yet is well paced. I feel I could draw you a map of Culver Creek school, if I could draw well, I can smell the woods they hide out in. I don’t know what else to say, except Green manages to smash my heart into a million pieces (again ~ first time was with the Fault in Our Stars) and pick them up and put them back together and all without me hating him. He writes beautifully, and I do find myself wondering just how much is autobiographical and how much is pure imagination. If you’ve not read it, I’d highly recommend it – 5/5. Great review!! 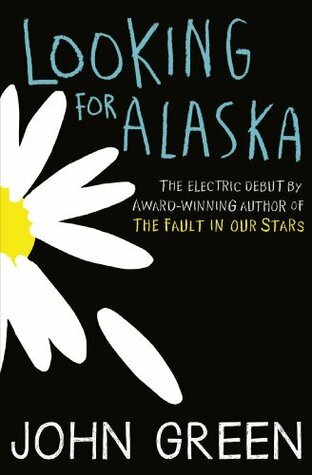 I absolutely loved Looking for Alaska and I remember bawling my eyes out after reading it. Would love it if you could check out my blog as well, I write book reviews too! Oh cool!! Really look forward to your reviews on them!! !